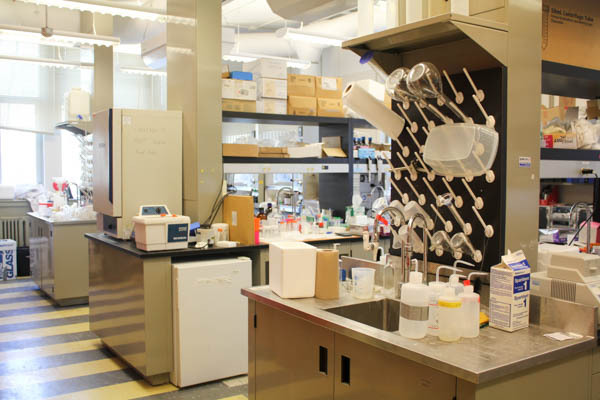 Recently renovated, this bright and spacious research laboratory is equipped with a range of equipment for organic synthesis and purification. 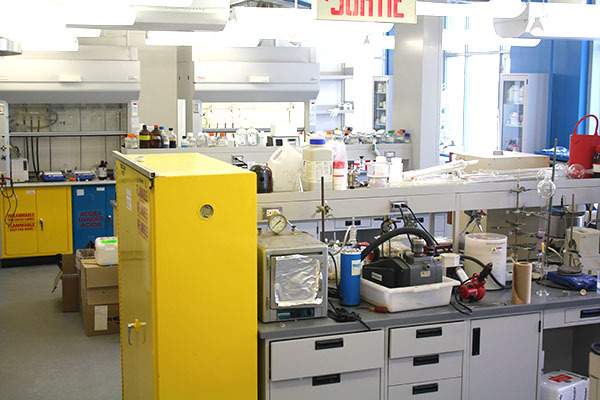 A research laboratory equipped with a range of equipment for organic synthesis and purification (manifolds, rotovaps, pumps, circulators, hot plates, etc. 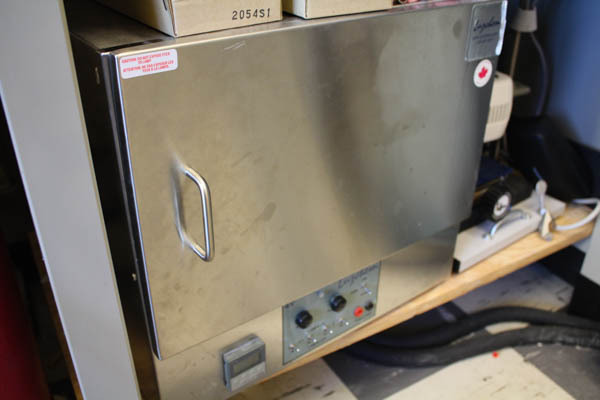 ), and general facilities such as ovens, balances, etc. 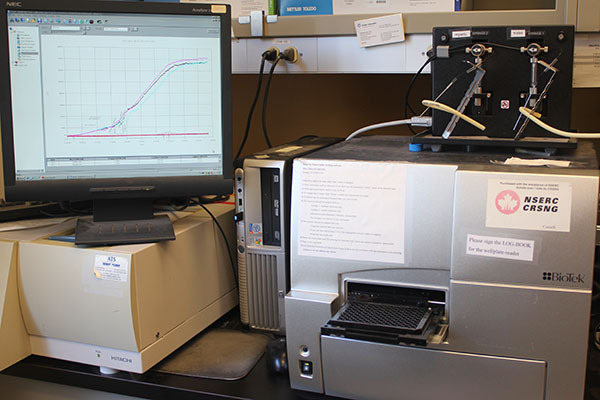 It is also equipped with general labware and equipment for DNA and lipid handling including liposome extruders, gel electrophoresis etc. 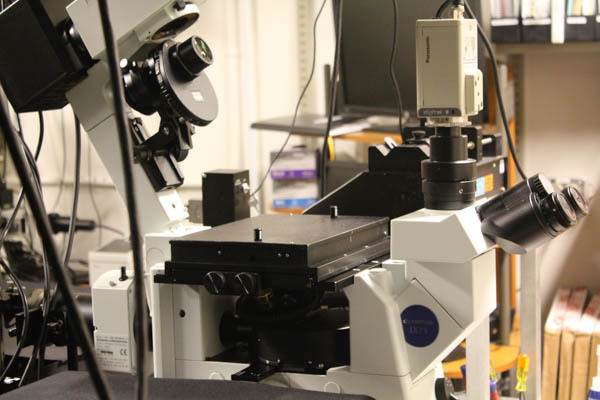 Our imaging laboratory boasts several custom-built microscopes for single-molecule fluorescence imaging. 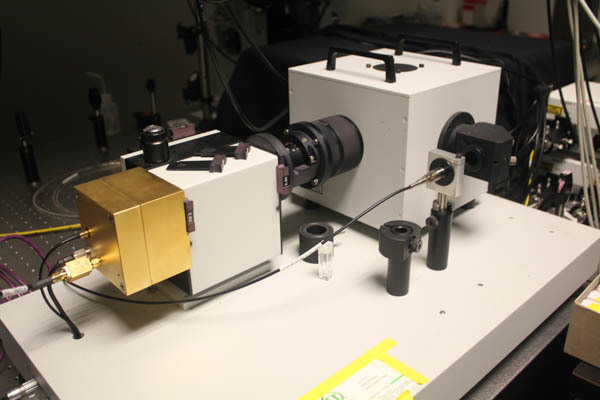 It is also equipped with a laser-flash photolysis system and a time resolved emission spectrometer setup for imaging of transient species. 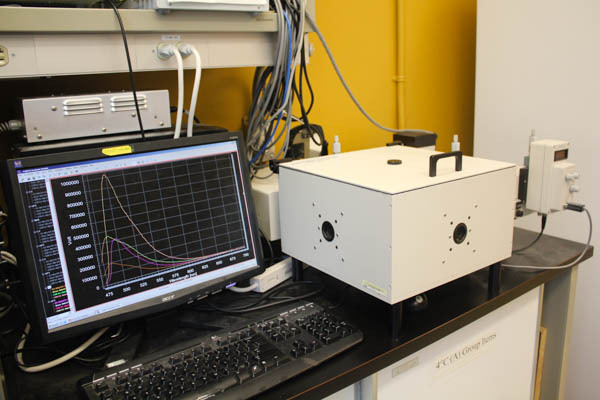 Also available to the Cosa group are the general facilities from the chemistry department, including: The NMR facility that operates 5 liquids (300MHz, 2×400MHz, 2×500MHz) and 2 solids spectrometers (300MHz, 400 MHz).The MIAM-purchased EPR Facility (see also below). 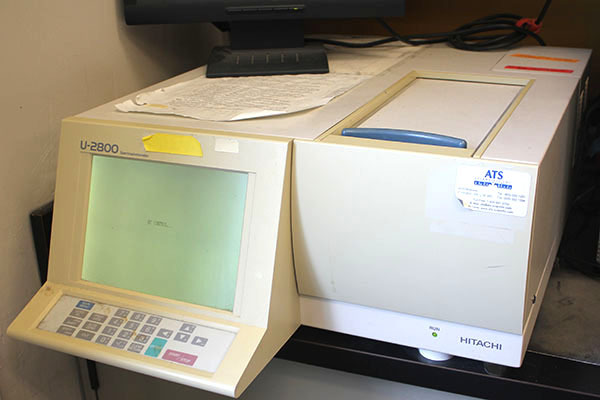 The Mass Spectrometry Facility that operates 9 high-end instruments (5 of which are GC- or LC-linked) with two staff. 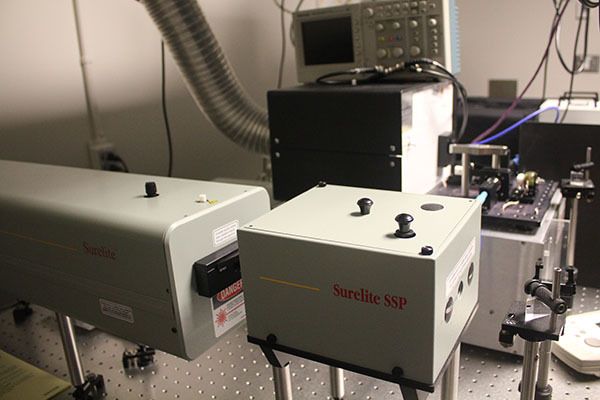 Infrastructure available from the Center for Self-Assembled Chemical Structures CSACS may be found here. 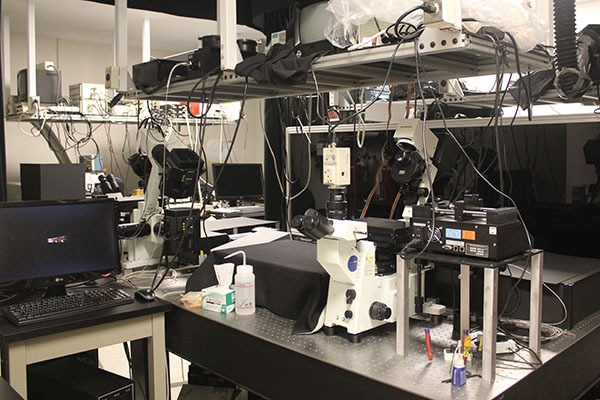 The Cosa group has also access to the MIAM (McGill) equipment, listed here. 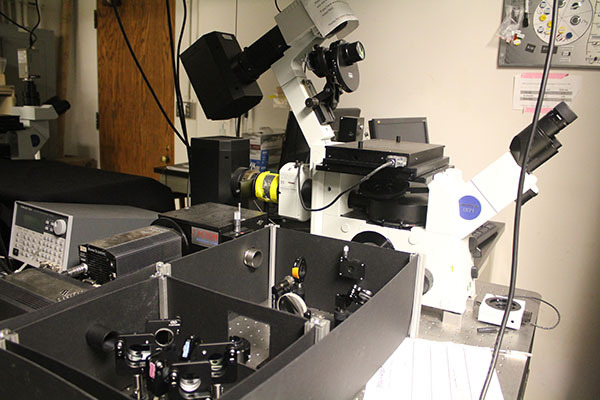 We additionally have access to the Advanced Bioimaging Facility in the Life Sciences Complex, where cell culture and cell imaging is routinely conducted, typically on the FLIM LSM 710 Confocal: Zeiss Axiobserver fully automated inverted microscope with live cell chamber and motorized stage. 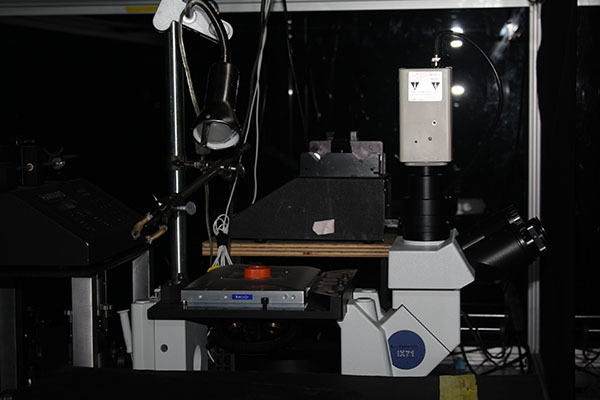 It features live cell imaging, high resolution 20x imaging, tiling for large sample single images of entire slides, multiple location timelapse, forster resonance energy transfer (FRET), fluoescence lifetime imaging microscopy (FLIM). More information may be found here. 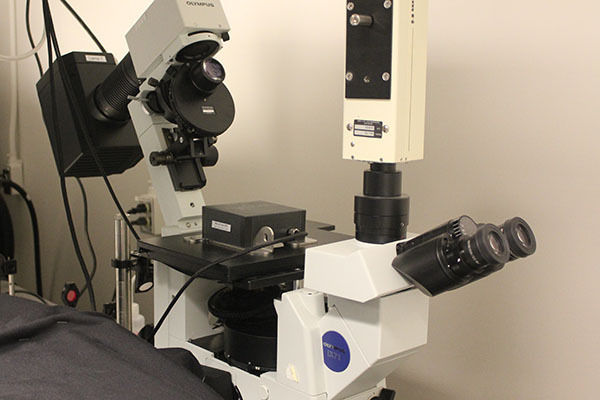 We also have access to SEM, TEM and Cryo-TEM facilities available at the McGill Facilities for Electron Microscopy. 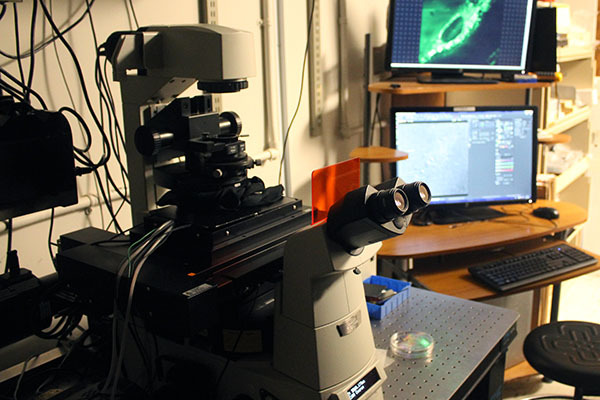 More information may be found here.